I'm in bed already (nearly 11pm here), but I have a new tickling tuesday video for you, using some products from the brand new Create A Smile release! And if you haven't checked out the Create A Smile blog during the last days - hop over to get TONS of inspiration for the upcoming release! deine Karten sind beide mal wieder super schön geworden! Ich kommentier nicht oft, aber schau immer wieder hier vorbei und erfreu mch an deinen Werken! Vielen Dank, daß Du sie mit uns teilst! I have a Cricut Cutting Machine and I've gotten svg files before, but it's a waste for me because they don't work on my machine. 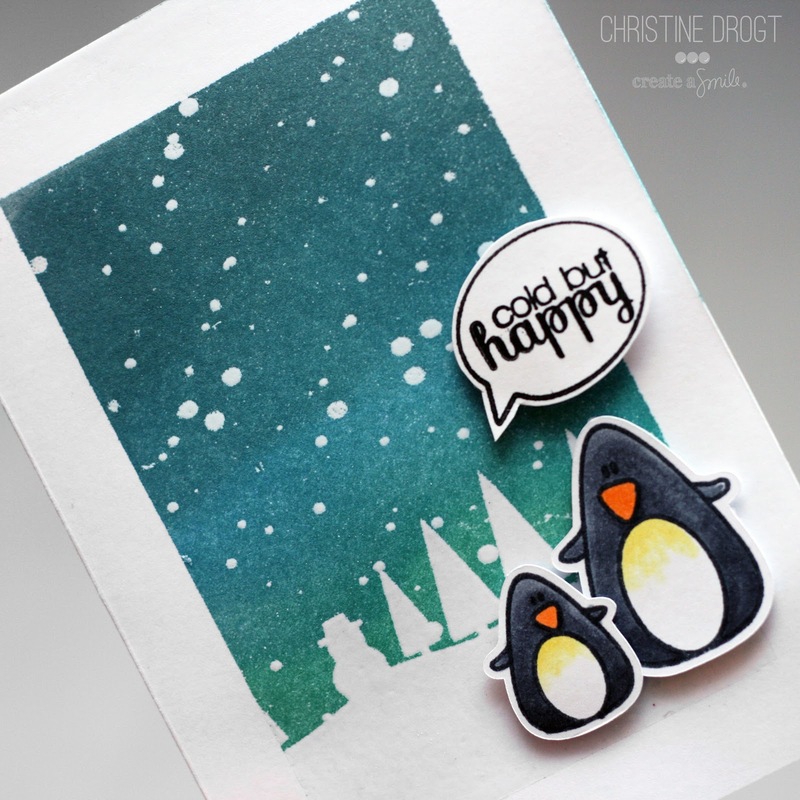 I would much rather have the coordinating die cuts as I think they're worth the money and there's more that you can do with them besides cut out the image with it! If I want the image to be cut out, I would just fussy cut it. Thanks for sharing! Adorable cards! 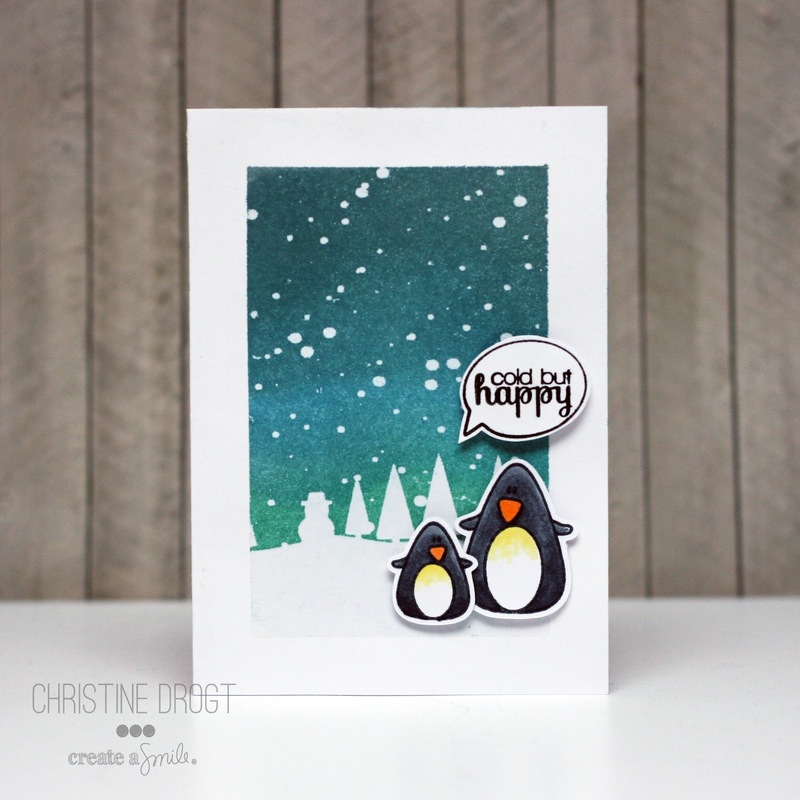 Love the sweet penguins and fun snowflakes! Great designs!